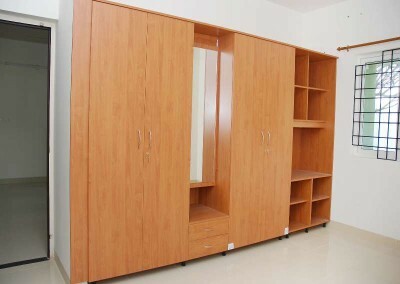 Wardrobes are made in pre laminated particle board of 18mm thickness with both sides having same colour. All the edges are sealed with PVC Edge band to make them stronger. 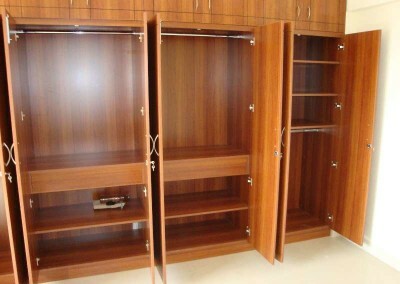 All the wardrobes are free standing comes with adjustable legs for proper alignment. 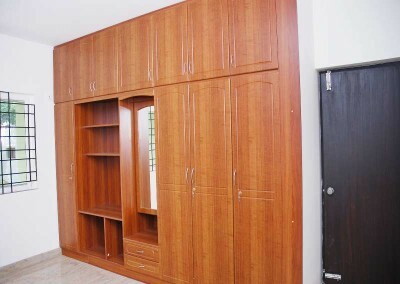 Shutters for the wardrobes can be provided in particle board, MDF or high gloss acrylic finish. 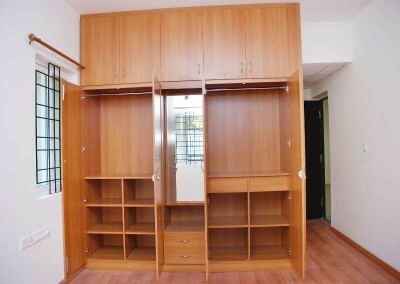 Wardrobes can be fitted with either regular shutters or sliding shutters as required by client.